The new Hornady Lock-N-Load™ Power Case Prep Center is a substantial unit, roughly 2 feet high and 10″ wide at the base. With four (4) attachment bolts, it should be very stable on the bench. There are six (6) power take-offs that extend horizontally from the bottom half of the unit. These all spin at the same time so you can quickly switch from one tool to another. Hornady provides the following tools that operate with the horizontal power take-offs: inside neck chamfer, outside neck chamfer, large flash-hole cleaner, small flash-hole cleaner, and a neck brush. An optional primer pocket reamer and an optional flash-hole deburrer can be purchased separately. At the middle level of the Hornday unit a case trimming tool is centered in a black plastic tray to catch shavings. The vertical position of the cutter is fixed. You lower the case down on the spinning cutter to trim cases to length. A pivoting handle controls vertical movement of the case which is held by its rim in a shellholder mounted in a chuck. The rotary handle you see in the picture is NOT for power. It is used to adjust the starting height of the chuck/shell-holder assembly. By turning the crank you can move this whole sub-assembly up and down to suit different length cases. The new Hornady Case Prep Center, product No. 050012, is slated for a 2009 release. MSRP is $431.67, with expected “street price” around $300.00. 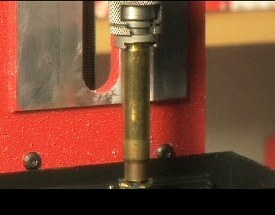 You should definitely watch the Hornady Video linked below, as it shows the case trimmer in action. If our written description of the inline vertical trimmer left you confused, it will quickly become clear once you watch the video. Editor’s Comment: If you have hundreds of cases that regularly need trimming, the Hornady Case Prep Center could be a real time-saver, provided that: 1) the cut length can be adjusted with sufficient precision; and, 2) cases can be moved in and out of the holder quickly and efficiently. As for powered case-neck chamfering… we’re a little less enthusiastic about that. It is very easy to ruin cases by over-chamfering. 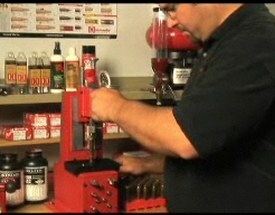 If Hornady really wanted to do this right, it would have the chamfer tool run on the top half of the machine. Then the chamfer depth could be controlled very precisely, with a positive stop, so you couldn’t over-chamfer. While Hornady’s Case Prep Center can certainly speed up trimming chores, you still have to trim and chamfer in separate steps. Consider that the Gracey Case Trimmer trims-to-length and chamfers (inside and out) all in one operation, processing up to 20 cases per minute. That’s impressive. We do like the powered neck brush on the Hornady unit, however. This could definitely help you prep a large quantity of brass more efficiently. 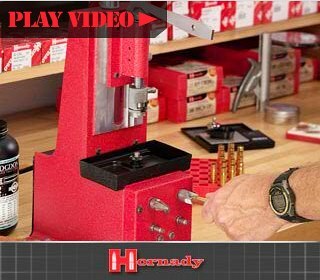 Share the post "Hornady Introduces Versatile Powered Case Prep Center"
Many Wimborne residents are dismayed by the gun ban, saying that a cherished tradition has been lost, and that Wimborne officials are “mollycoddling the kiddies” for no good reason. 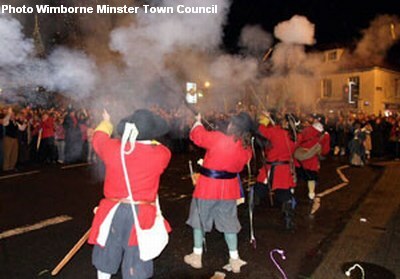 It remains to be seen whether Wimborne’s city fathers will proceed to ban the popping of balloons or the honking of car horns — noises which, presumably, could be equally traumatizing to England’s sensitive youngsters. 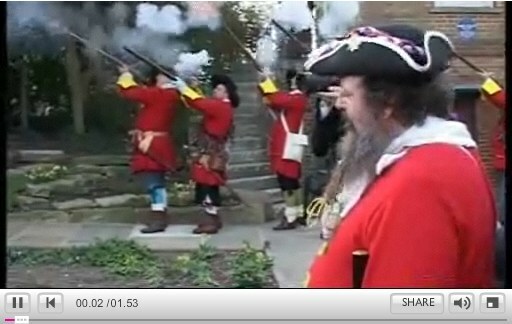 Share the post "Brit Politicians Ban Ceremonial Xmas Musket Firing"